Although the Speed Rack Finals were in May, I thought it would be fun to look back at one of my favorite events at Manhattan Cocktail Classic. I had been following the regionals starting with Portland then Los Angeles and Las Vegas before heading out to NYC for the finals. 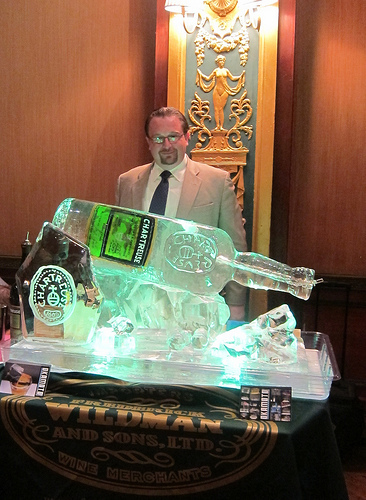 Oh boy, the Chartreuse luge made it from Vegas to NY (not the same one, I hope). If you didn’t buy any merch from Hollis Bulleit, I’m going to be very mad at you. 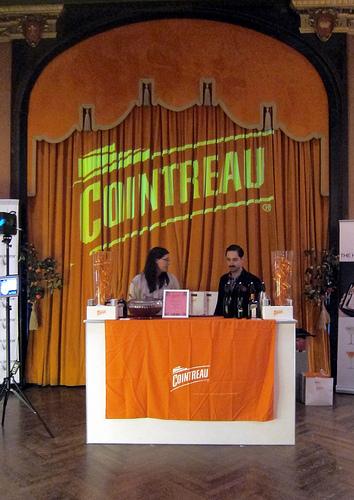 Pretty spiffy Cointreau booth. So Moroccan of them. 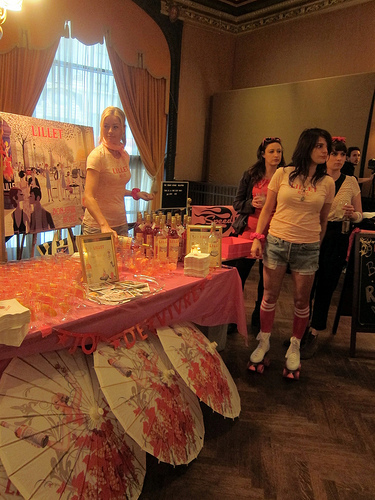 Lillet really brought it with brand ambassadors on roller skates. 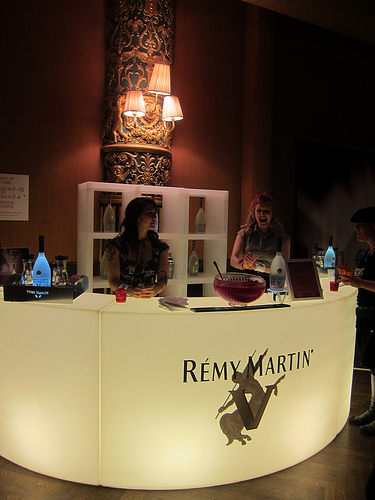 I give props to Remy Martin for the fanciest booth. If you were lucky enough to grab a cocktail, you may have noticed the ice blinked. Yeah! 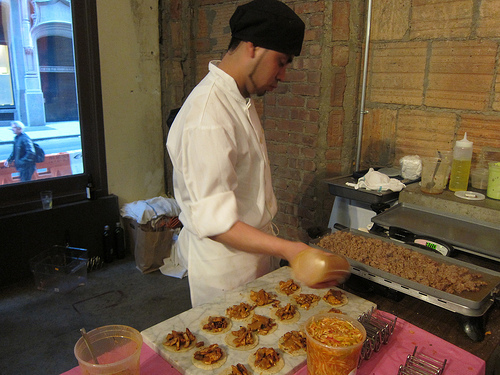 And of course, it wouldn’t be a proper party without food. Viktor Spoils bar provided delicious tacos that had Rosie from Big Bar in LA saying they were the best tacos they ever had. Okay, I’ll have another two (they were mini tacos!). 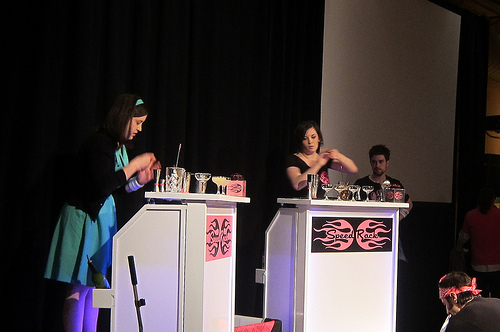 The final competition came down to two Houston ladies- Alba Huerta and Yael Vengroff (who won the NYC regional). Yael took home the prize as Miss Speed Rack but the competition was absolutely very close. I think it was a huge win for Houston and all the women who made it to the finals. 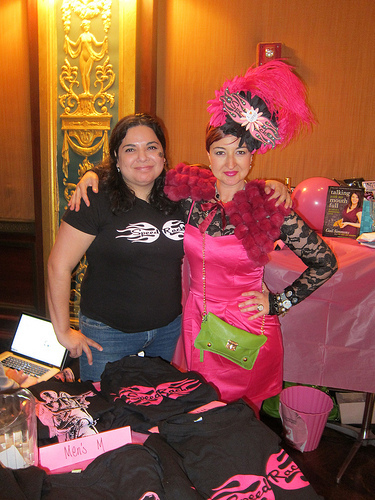 The competition helped raise thousands of dollars for breast cancer research. Although the tour and competition has ended, you can still donate via their website. This entry was posted in alcohol education, alcohol tasting, bar stories, bars, bartenders, cocktail competition, cocktail week, cocktails, contest, events, history, la, la cocktails, los angeles, spirits, the minty, travel and tagged cocktail competition, cocktail week, ivy mix, manhattan, manhattan cocktail classic, mcc, ny, nyc, roller derby, speed, speed rack, speed rack finals, travel. Bookmark the permalink.